Complementary, Alternative, or Integrative Health: What’s In a Name? MMS: What it Is and How it Works. ​Did you know that cleaning products are not required to provide a full list of ingredients on their labels? Instead, the U.S. Environmental Protection Agency only requires manufacturers to list chemicals that are active disinfectants or "of known concern." …Known concern? The trouble with that is, many common chemical ingredients in our household products are untested and largely unregulated. How's *that* for safety first? We all deserve to know what we're putting on (and potentially into) our bodies. That's why we created the Laundry Room Dirty Dozen Guide and are hooking you up with it for FREE. 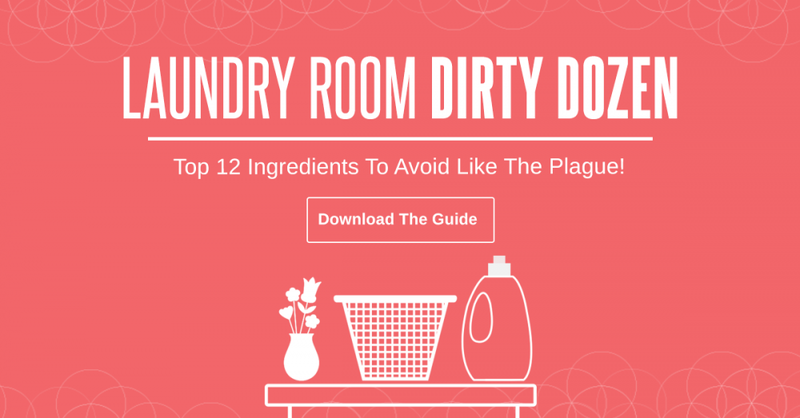 It contains the 12 top ingredients found in most laundry rooms to avoid like the plague! ​If you have health problems, such as cancer...pay attention. SHARE THIS GUIDE WITH YOUR FRIENDS. In order to keep our content free, some of the links maybe affiliate links to trusted websites and products we enjoy using. JAHealthAdvocate.com. ​Read our full Affiliate Disclosure for more info. Do you like the info we share here? Was it of benefit to you? Support our efforts with a donation. ​Let's keep the information flowing. Any amount helps. Thank you. MEDICAL DISCLAIMER: The content of this JA Health Advocate Website is presented for educational purposes only and is not intended to diagnose or prescribe for any medical or psychological condition, nor to prevent, treat, mitigate or cure such conditions. The information contained herein is not intended to replace a one-on-one relationship with a doctor or qualified healthcare professional. Therefore, this information is not intended as medical advice, but rather a sharing of knowledge and information based on research and experience. JA Health Advocate encourages you to make your own health care decisions based on your judgment and research in partnership with a qualified healthcare professional. ​The MMS Protocols described on this site are official sacraments of the Genesis II Church of Health and Healing. The reader accepts 100% responsibility for any and all use made of any information herein. These statements have not been evaluated by the US Food and Drug Administration or the Jamaica Ministry of Health. The information on this website is not intended to diagnose, treat, cure or prevent any disease. They should not replace personal judgment nor medical treatment, nor are they intended to diagnose, treat, cure, or prevent any disease. Always talk to your Natural Health Provider or M.D. about the use of these or any other complimentary modalities. Reading this website denotes your understanding and agreement to our full disclaimer.